You might be wondering what is happening with real estate. Well, it’s time for your Edmonton real estate market update. 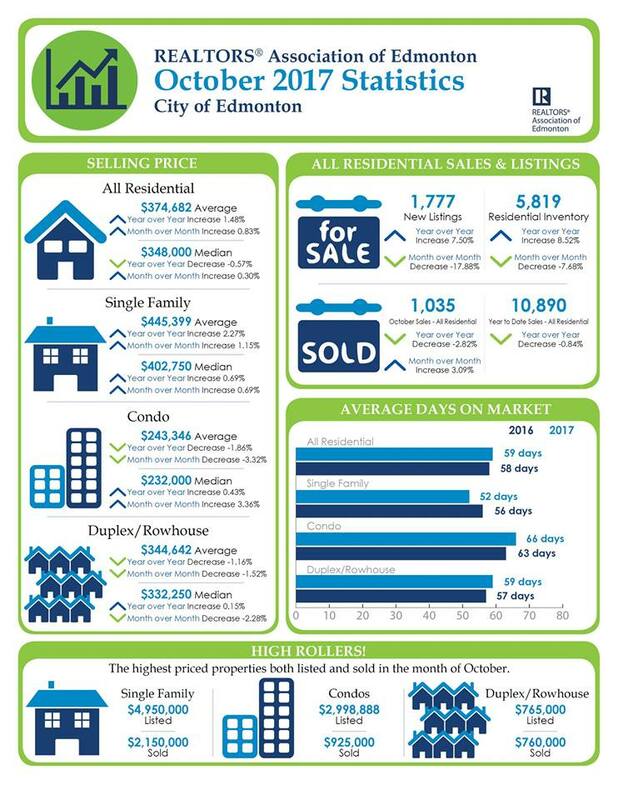 The REALTORS® Association of Edmonton has released the stats for October 2017. Remember, this is a general market overview! Real estate is very specific because each area is different. Want to know more about the market in your area? Contact me!